Today’s modern lifestyle often makes it nearly impossible to find time to cook. But the fact remains-you still have to eat. So what’s the solution? Fast food, take-out, frozen dinners? Not all that appetizing and certainly not healthy. On top of those negatives, it’s also really expensive to eat out all the time. Enter the personal chef. Before you count out the idea of a personal chef because of expense, consider the cost of eating out or ordering in every night. Then compare that to the cost of a personal chef. By comparison a personal chef will save you money, time, and provide you with delicious, healthy meals for you and your family. A personal chef will come to your home once or twice a week, prepare meals for you and store them in your fridge or freezer so they are there for you when you need them. In today’s world, it’s a pretty invaluable service-the ultimate in grab and go. Once you hire a chef, they will discuss everything about your diet and food preferences with you in order to create a weekly menu of meals that suit your tastes, and health needs perfectly. Personal chefs are wonderful for those living with a health condition that requires a special diet. For families personal chefs allow you to spend more time with your family and less time cooking and cleaning in the kitchen. Between work, running errands, and shuffling the kids from practice, to meeting, to sleepover, there is little time, if any to cook nutritional meals on a nightly basis. 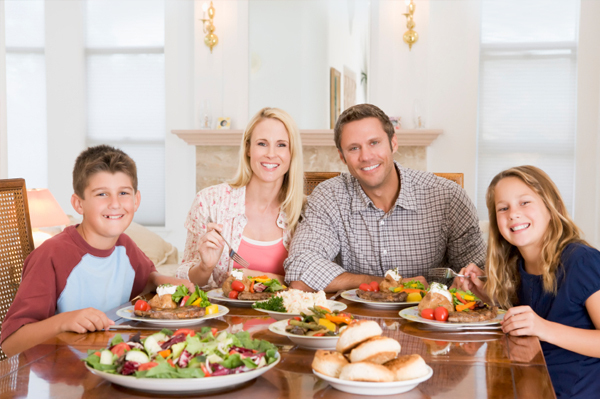 With a personal chef, you can fell good about the food your family is eating and still have time to relax and enjoy each other’s company. Aside from weekly meal prep, personal chefs can also help you prepare for dinner parties, holiday dinners, birthday parties and any other events that you are hosting. Imagine having a personal chef on hand to take care of all of the catering details for you while you were able to be a more relaxed host and enjoy the company of your guests. If you think the cost of a personal chef will be to great, take a minute to compare it to the cost of take out and restaurant dining almost every night. Add to that how much you would value more time to do the things you really love to do. At the end of that comparison, a personal chef will definitely be a bargain. With so much to think about in today’s busy world, once you hire a personal chef, you can check what’s for dinner off of the list. Heres more on why so many people are hiring a personal chef.